Bishop Challoner School - Class of 1966 - lots of pictures of staff and students in both 1966 and in 2007. 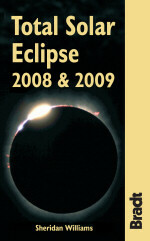 UK Solar Eclipses from year 1 to 3000 This book published by Clock Tower Press will help all those interested in Total Solar Eclipses in general and comes with a printed supplement containing full details on the 2008 and 2009 total solar eclipses. Total Solar Eclipse Chasers' Statistics If you are interested in who is the world's leading Umbraphile (Eclipse chaser) this link is for you. 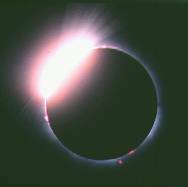 Eclipse home page Including details on all eclipses until 2015 and details of astronomy tours. Eclipse Links - A central site with links to everything to do with eclipses including pictures of coronas over the photographic age. Glasspole, Budd, Whettem, Jeffery, Read, Williams, Vining, Hawes and Haysom Gives genealogical information for my family members. What is the provenance of these BASF picture bought from a gallery in the 1980s?